Tis the season to be merry. 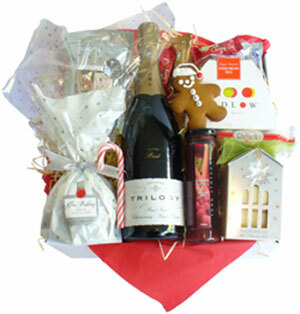 This festive hamper will set the mood. Add some rhubarb, raspberry and pernod dessert sauce to the sparkling wine for a refreshing cocktail! Then kick up your heels for some holiday celebrating.